The following points are in order. This order provides an important sequence to your sailing vacation, and it is this sequence which steers you to enhance the quality of your yacht charter adventure. 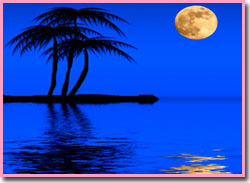 Barrington Hall suggest to all our guests to try to plan your yacht vacation during the full moon period of each month. It is just more romantic and etches gorgeous memories that remain in your mind forever. IMAGINE looking at the sea bed at 10 PM to see each grain of sand on the bottom 16 feet below ?? Rates vary depending on the number of guests. Guests usually range from 2 to 4,6,8,10,30. The size of the vessel you select, the type of vessel and the time of year changes the rate of a yacht. Winter is more expensive than Summer. We realize how difficult it is to get friends to join you, and for this reason we suggest a specific time for a conference call that we pay for. A direct conference call with Andrew Buys can be made at: 1-800-478-2029 so that all of us can talk about every aspect of this growing private yacht vacation. You can call Andrew at any time with your questions. He is always available. This is an extremely important point on how to raise the quality of your vacation. 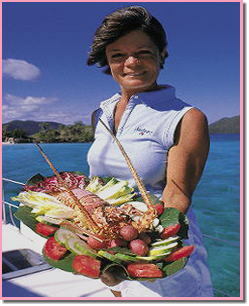 Our number one recommendation for all our clients is to fly into Beef Island Tortola, British Virgin Islands. An excellent alternative is to fly into St. Thomas US Virgin Islands. We recommend to all our guests to cover your vacation with adequate insurance for that unexpected incident. Call Andrew at 800-478-2029 for your trip insurance information. Possible one of the most unique true stories to come from paradise since FREE WILLIE was released. 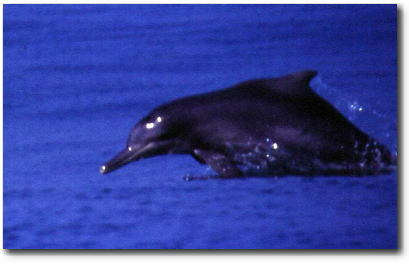 Brought to us by Captain Jack of Yacht "Yacht DreamWalker"
Tandem Charters are for the groups. 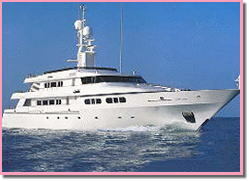 Groups larger that 12 Guests whereby 2 or 3 vessels are rented and they travel together to all your favorite anchorages. 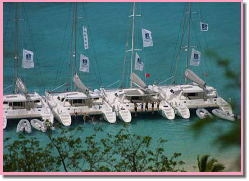 We have booked 17 catamarans in the past to do a one week yacht charter vacation for 117 guests. 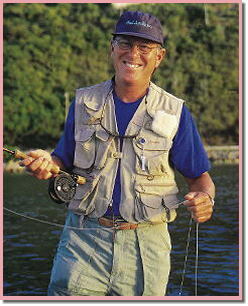 Fly fishing in the Virgin Islands and deep see fishing. A comprehensive 5 page notation letting us know what you like to eat and drink on your vacation. These are provide for you to read at your leisured. You can print them out, enter your details and mail them to Barrington-Hall. However we mail originals to all our guests for signature.